Alopecia is a term used to describe hair loss. Anyone can experience hair loss including men, women, even children. Alopecia can affect not only your scalp but your entire body as well. It can be the result of genetics, certain medications or an underlying medical condition. Normally we lose 50-100 hairs a day. Shedding and hair loss become a real concern when hair begins to get patchy and starts thinning. Alopecia may cause gradual thinning, bald patches or complete baldness. Some people will see their hair re-grow without any treatment, whereas others will need treatment and others still will find their hair does not grow back. 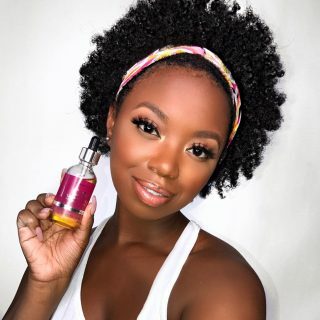 Read on to find out more about alopecia and click the image below to view testimonials from real users who have had success using HAIRFINITY. There are many possible reasons as to why someone would begin to lose their hair. The most common cause of alopecia is a medical condition called hereditary hair loss. It affects millions of men and women worldwide and is sometimes referred to as male or female pattern baldness. It tends to occur as people age, when their hair becomes gradually thin. However, alopecia can also be caused by other reasons including hormonal factors, medical conditions and medications. Hereditary factors: The most common factor of hair loss is due to genetics and occurs gradually over a period of time. In men, hereditary hair loss is often defined by a receding hairline and bald patches – especially at the top of the head. In women, the hairline does not recede; rather they will notice clearly thinning hair. The reasons for hereditary alopecia are largely unknown. Hormonal factors: Hormonal imbalances or changes can cause temporary hair loss. Correcting the hormonal imbalance will often stop the hair loss and enable hair to begin re-growth on its own. Some women experience hair loss after pregnancy/childbirth, with the onset of menopause or after stopping the birth control pill. Women may notice hair loss after childbirth due to falling estrogen levels. Any hair loss experienced during this time is usually temporary and hair will grow back after a few months. During menopause, women experience temporary hair loss that will re-grow over time. However, women over 40 will not have the same full hair they had when they were younger as hair does thin over time. For men, hair thinning can begin as early as puberty and tends to be a result of a genetic predisposition to hair loss. Medical conditions: there are a variety of medical conditions that can cause hair loss such as thyroid problems, scalp infections, alopecia areata and other skin disorders. The thyroid gland helps to regulate hormone levels in the body and if it isn’t working, as it should, it can cause hair loss. An overactive or underactive thyroid gland may also cause hair to fall out. This hair loss can resolve itself once the underlying thyroid disease has been treated. 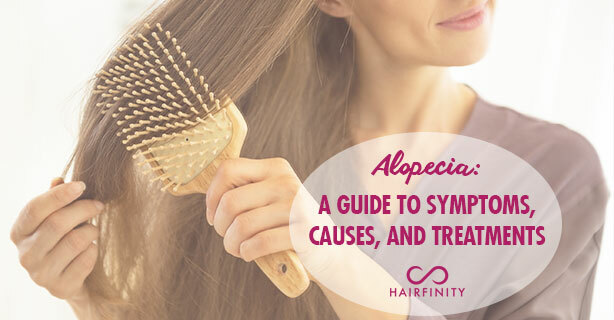 Alopecia areata is an autoimmune disease that occurs when the body’s immune system attacks the hair follicles and causes smooth patches of hair loss. With proper treatment, hair can re-grow. Scalp infections, such as ringworm, can also lead to hair loss. Proper treatment of the infection will enable the hair to grow back. Other skin disorders, such as lichen planus or lupus, can result in permanent hair loss at the place of scars. Stress: Experiencing a traumatic event, such as the death of a loved one or going through a divorce can cause temporary hair loss. Hair thinning can also occur several months after a physical shock such as sudden or excessive weight loss or illness with a high fever. Medications: Certain medications can cause hair loss. This includes chemotherapy drugs used to treat cancer, as well as medications for arthritis, depression, heart problems and high blood pressure. This type of hair loss will improve after the use of the medicine has run its course. Hairstyles: Traction alopecia can occur if hair is pulled back too tightly into styles such as pigtails or cornrows for extended periods of time. Too much shampooing, combing or brushing can also cause hair to break and become thin. If the pulling on the scalp is stopped before scarring occurs, then hair will grow back normally. However, if hair is pulled too tightly to the point of scarring, then permanent hair loss may occur at the sight of the scar. Trichotillomania: A medical disorder that causes people to repeatedly pull out their own hair. There is often an urge to pull out the hair on the scalp, eyelashes, eyebrows or other hairs on the body. Dieting or poor nutrition: Some people may experience hair loss after losing significant amounts of weight, usually more than 15 pounds. Hair loss appears after 3-6 months of losing the weight. The hair will regrow on its own without treatment. Hair loss can also occur if there is a lack of protein in one’s diet. When the body doesn’t get enough protein, it rations the protein it does get – and one such ration is to slow down hair growth. This generally begins to occur about 2 to 3 months after a reduction in protein in the diet. 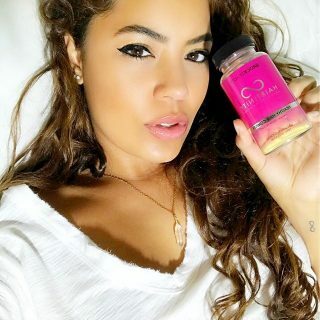 A great way to manage your intake of nutrients vital for hair growth is using a vitamin supplement such as HAIRFINITY hair vitamins. Alopecia can present itself in many different ways, depending on its cause. It can come on quite suddenly or gradually and may affect just your scalp or affect your whole body. Hair loss can be temporary or permanent. Gradual thinning on the top of the head: this is the most common type of hair loss that can affect both men and women. In men, the hair often begins to recede from the forehead back, whereas in women the hair begins to thin from where their hair parts outward. Patchy bald spots: Bald spots tend to affect just the scalp but sometimes occur in beards and eyebrows. In some cases, skin can become itchy or painful before the hair falls out. Loosening of hair: Hair can become loose and begin to shed due to a physical or emotional shock. Handfuls of hair may come out when combing or washing or after gentle pulling. Hair loss like this causes overall hair thinning and does not generally result in bald patches. Full body hair loss: Some conditions and medical treatments can cause hair loss all over the body. Hair will normally grow back after the treatment ends. Central cicatricial (scarring) alopecia: This type of hair loss tends to occur most often in women of African descent. The hair loss begins in the centre of the scalp and it radiates out from the centre. The scalp then becomes smooth and shiny. This type of hair loss can be very slow or quite quick. The affected person may feel tingling, burning, pain or itching on the scalp. With proper treatment, the hair may grow back – if scarring has not occurred, leaving follicles permanently damaged. Who is at risk for alopecia? Heredity is the most common cause of alopecia and can affect the age at which you begin to lose your hair. It can also affect the pattern and rate of your hair loss. Alopecia is also more common in people who overuse or improperly use hair coloring products, hair straighteners and chemical perms. Overuse of such hair treatments can leave your hair brittle and more prone to breakage at the scalp. 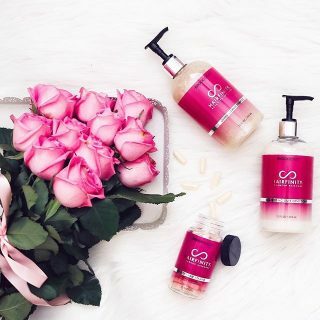 A shampoo that is gentle on the hair and scalp and infused with natural extracts, like Essentious Exonerate would be a great way to improve hair that has been damaged by over-processing. If you notice sudden or patchy hair loss or excessive shedding, take a trip to see your doctor. Your doctor will go over your complete medical history as well as your family history to help determine whether or not your hair loss is caused by a medical issue, such as alopecia. Once your doctor has determined whether or not your hair loss is caused by alopecia, the two of you can work together on a plan for growing your hair back. If you are experiencing hair loss not related to a medical condition take a look at your hair care regimen. You may be surprised to learn that a hairstyle or the way you wash and dry your hair can contribute to damage and excessive shedding. Ensure your hair care routine is not causing any unnecessary damage with this quick list of actions you can take to minimize or correct hair loss not related to alopecia or another medical condition. Manage your stress. Stress can be a major cause of hair breakage and excessive shedding. Put your hair up. Protective styles including the pineapple, loose ponytails, or buns should be used to minimize handling your hair. 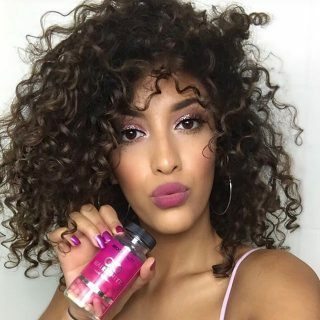 Manage your hair with good nutrition. 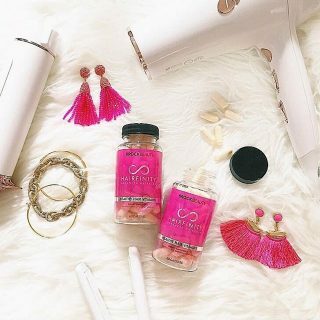 If you’re not eating your way to healthier hair, using HAIRFINITY hair vitamins is a great way to begin to nourish your hair from the inside. Alopecia affects millions of men and women worldwide. While there are many reasons for the occurrence of alopecia, it is important to remember that you are not alone and that this condition affects many people over their lifetime. There are many different treatments available for alopecia. If you or someone you know suspects they are suffering from alopecia, make an appointment with your doctor to determine a course of treatment that is right for you. 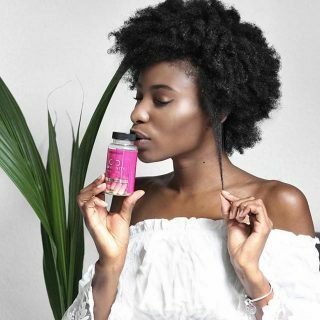 You may also consider taking HAIRFINITY hair vitamins to help your hair to grow longer, stronger and faster to get on with your life prior to alopecia.